Nerdy Book Club #pb10for10 Post! 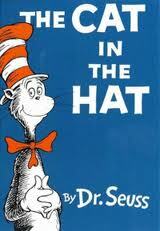 The Cat in the Hat tops my list. I love reminding educators–and proponents of any kind of canned learning, corporate or public school–that Dr. Seuss proved you can tell a GREAT story with just 236 different vocabulary words. We do not need to be boring to be educational!! 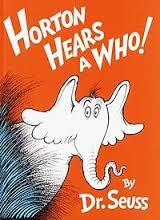 Horton Hears a Who (Seuss) tells a great story of dedication no matter the obstacles you face–but it’s also a tale of rushing to a conclusion. Borrowing from Starko’s Creativity in the Classroom, I introduce adults to a problem-solving lesson I use with students. Instead of carrying around the clover that contains the world of the Who’s, what else could Horton have done? What criteria could he have used to decide? In personality type terms, it’s an exploration of staying in perceiving mode long enough to unearth relevant choices, yet still switching to judging, or coming to a decision. 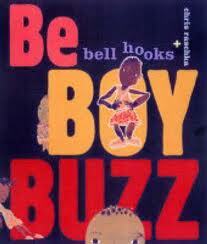 Eloise ( Thompson) and Be Boy Buzz (hooks) are a great pairing for discussing the joys of teaching extraverted children–or leading extraverted employees. 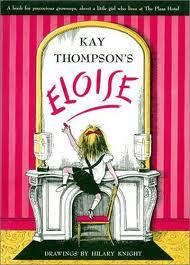 I love showing the fold-out page from Eloise that shows her pathways through every floor of the Plaza Hotel where she lives, and then folding it back into the book, saying, “Now, imagine her in a little kindergarten classroom…” And as the back of Be Boy Buzz says, “Celebrate boyhood, spread the buzz!” Busy boys–and girls–are great, aren’t they, even if sometimes rather inconvenient! 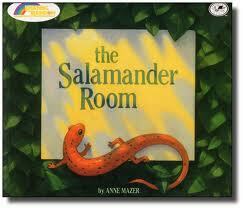 The Salamander Room is a beautiful reminder that not everyone lives in a concrete world surrounded by facts–and what a great time we can have, and what great insights we can receive, if we allow such people to share their worlds with us!! Mom is sure that the salamander her son found needs to return to the wild, but he has an answer to every one of her worries, including taking the roof off the house to let in fresh air and sunshine! 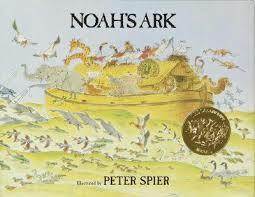 Noah’s Ark (Spier) lays a nice foundation for inquiry. A wordless picture book, many of the illustrations answer questions you’ve probably wondered about–or if not, would have wondered about if given enough time to think! I mean, how did they keep the ark clean? How did the lions and lambs get along? These questions can’t be answered from the original text and instead illustrate the kinds of higher-level thinking and questioning we want educators, students, and employees asking. 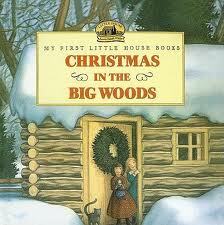 Christmas in the Big Woods (Wilder) is a single incident from Little House in the Big Woods illustrated lavishly in the style of the original volumes. The tale of Christmas morning, with the children’s joy of receiving a peppermint stick and new mittens in their stocking is a poignant, quick lead-in to a discussion of…several great topics! 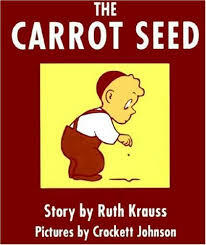 The Carrot Seed (Krause) is a classic that still speaks truth. All the adults are convinced, “It won’t come up!” But it does. And, it’s such a quick read that adults won’t have time to start thinking, “Yeah, yeah, I get the point” before they really get the point! Only one more? 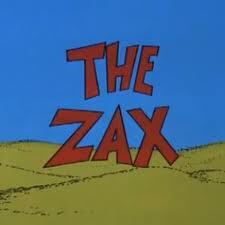 Well, my last nomination has to go to “The Zax”, a short story included in Dr. Seuss’s The Sneeches and Other Stories. I’ve memorized this one and frequently use it to close workshops on helping groups that are polarized recognize their common purpose and then move forward together. After all, do you want to get stuck in the Prairie of Prax like those two stubborn Zax? Or learn to listen and make use of the positive power of differences? Yes, these pointed messages for children lose nothing in the “translation” for adults. 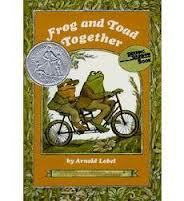 What other great picture books have you used for professional development? I enjoyed your list of picture books for adults, but it was the messages you like to convey with the books that really made me pause. Great ideas! Thank you for including the specifics about how you use these with groups of adults. I really like the ideas you’ve mentioned for The Carrot Seed and The Zax. Thanks, Catherine–adults love stories if you’re clear on the point you’re making. These titles make that easy! next post: Yes, Polarity Thinking is Crucial for Leaders!